Alleluia, Christ is risen! We are rejoicing in the reality of a risen Savior, who gives us hope and purpose. 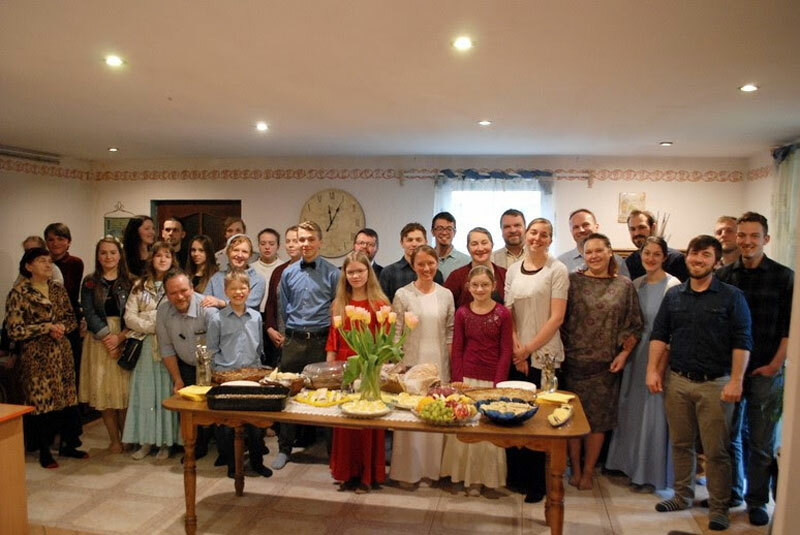 The Agape congregation gathered for Easter celebrations on Sunday morning at the Hershberger house for an early service of singing and testimonies, then enjoyed a meal together. At the beginning of March, Manu and Ria Ciocan spent nearly a week in Mińsk. Ria previously spent four years with AIM as a volunteer. Matt King and Lyndon Beiler had visitors from their home church of Weavertown for five days. 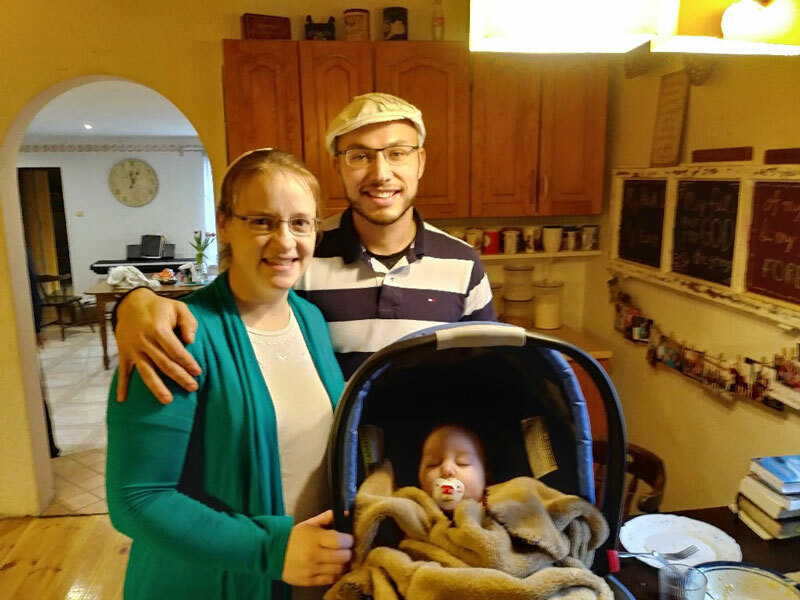 Matt’s brother Nicky and friends Ivan Glick and Gideon Stoltzfus were in Poland for five days over Easter vacation. Sharon and Wendy hosted Sharon’s cousin from the States, along with three visitors from Belarus. 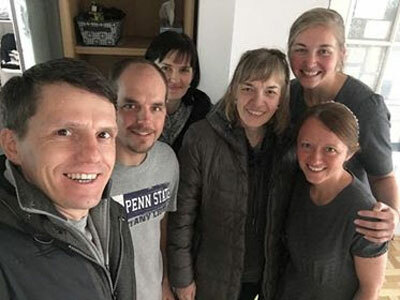 It was encouraging to connect with other believers and hear their stories of God’s work in Belarus. During the next three months we hope to continue building reserves for the summer months when income from teaching English stops. We need $10,000 per month in general donations to make this possible.